All pets shown on this page are available. Just click on a picture to see the slideshow & more info. 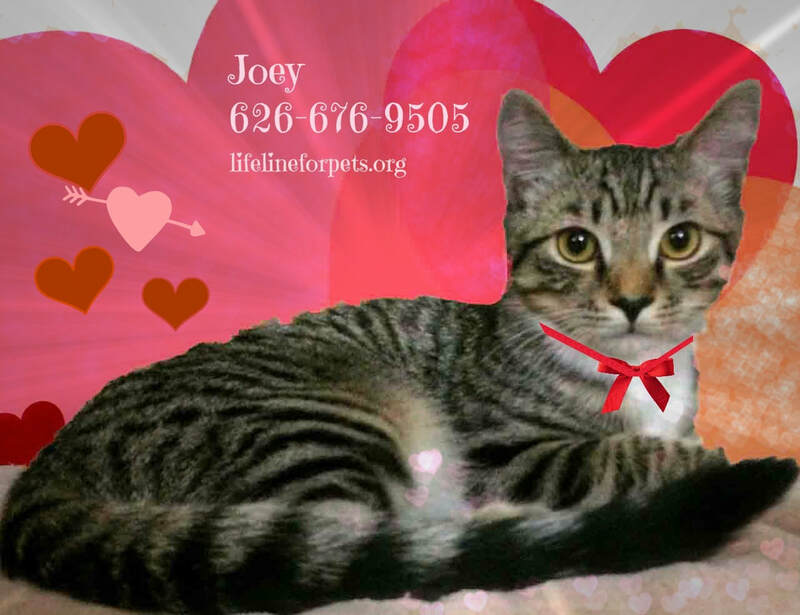 See our Valentine Giving Grid, "It's All About the LOVE." Sweet and young, female, CRICKET is on our Young Cats page. JOEY, cute tabby, likes belly rubs. He's on our Teens page. 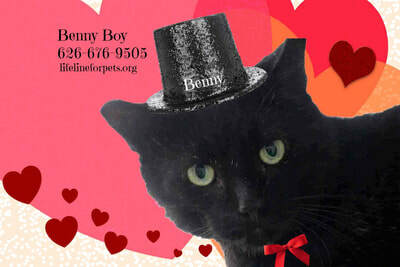 BENNY is one you should take in a heartbeat! 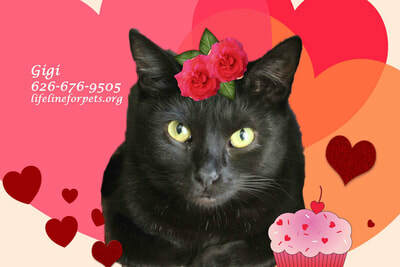 This handsome & sweet FIV+ boy is on our Teens/Adult Cats page. 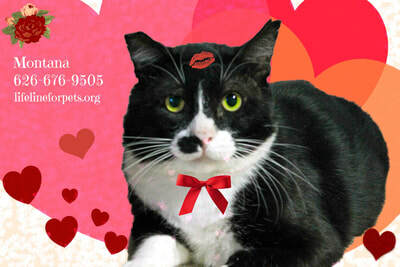 MONTANA, male tuxedo, is a little bit skittish, but very adoptable. 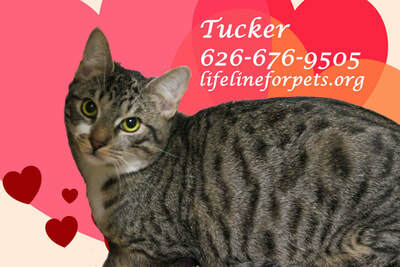 He's on our Special Needs page because he is FIV+. 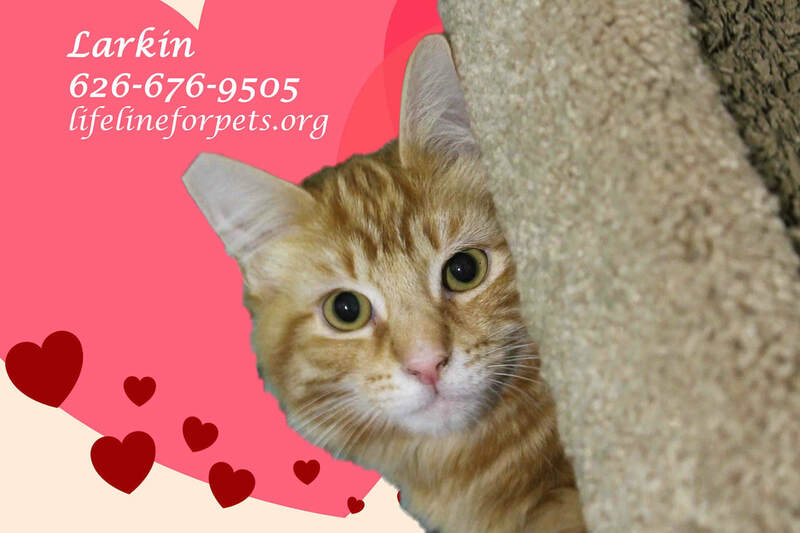 He needs a home! 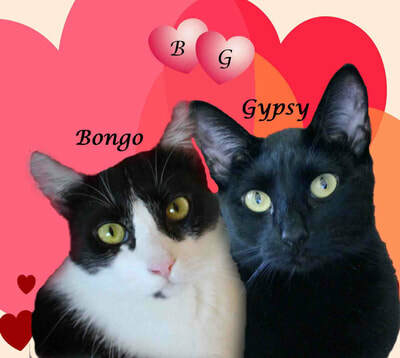 BONGO, male, & sister, GYPSY, are quite bonded, They're on our Adult Cats page. Wonderfully adoptable! 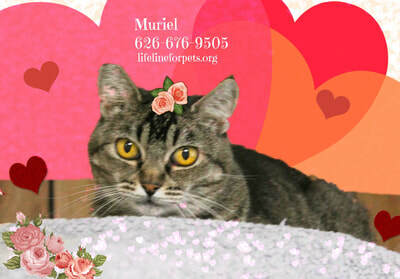 MURIEL is very shy, and we'd love to find a foster for her. She's on our Shy Cats page. GIGI is very shy, but sweet. 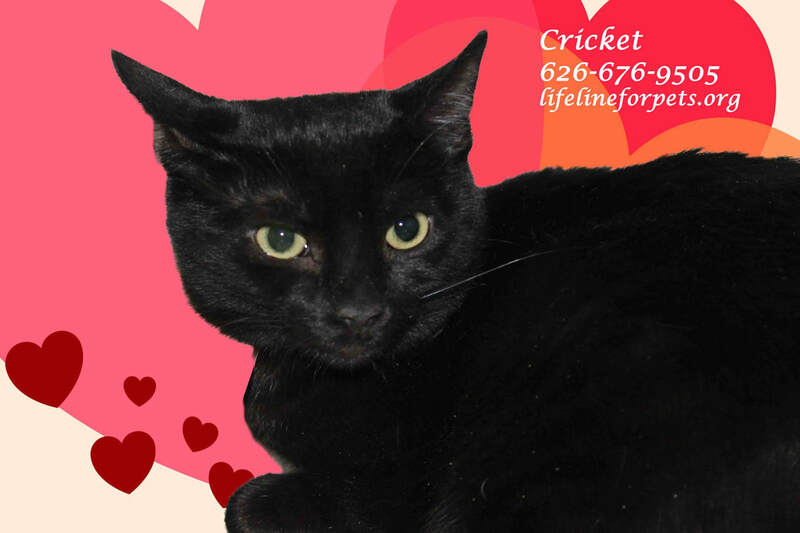 She would really benefit from a loving foster home. She's on our Shy Cats page. 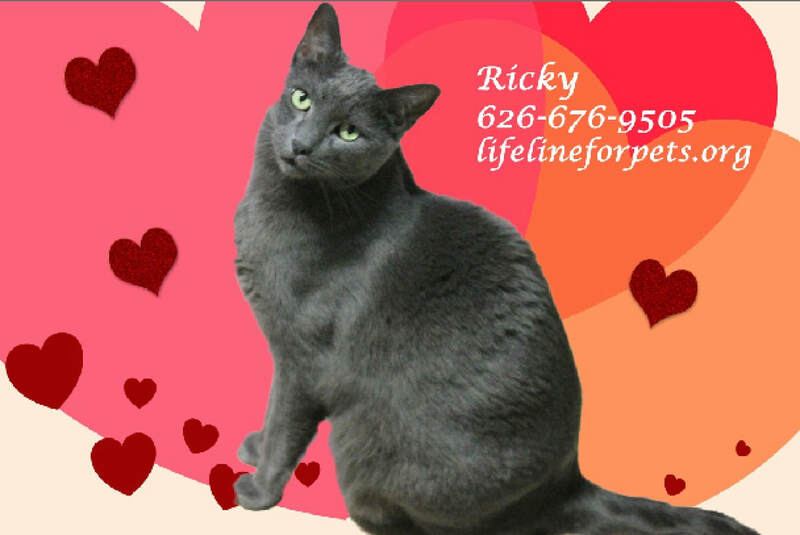 RICKY, sweet boy, wants so much to have confidence. Needs a foster. He's on our Shy Cats page. 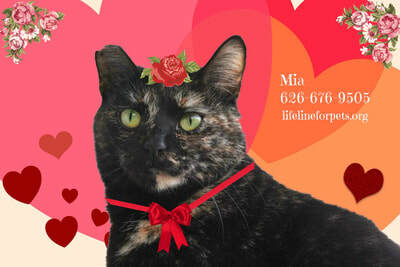 MIA, strikingly beautiful tortie. Very shy, and is on our Shy Cats page. CHELSEA, beautiful calico, is on our Teens/Adult Cats page. ZOEY & CHLOE are adorable twin tabby sisters, who will entertain and cuddle with you. 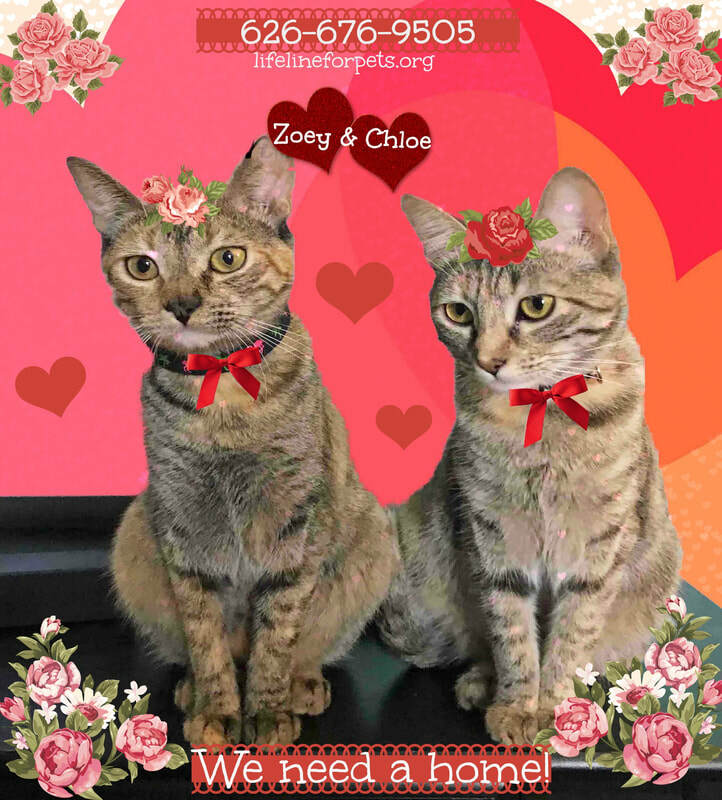 See them on our Young Cats page. LACY, super-sweet lady, who is the best cuddler ever! 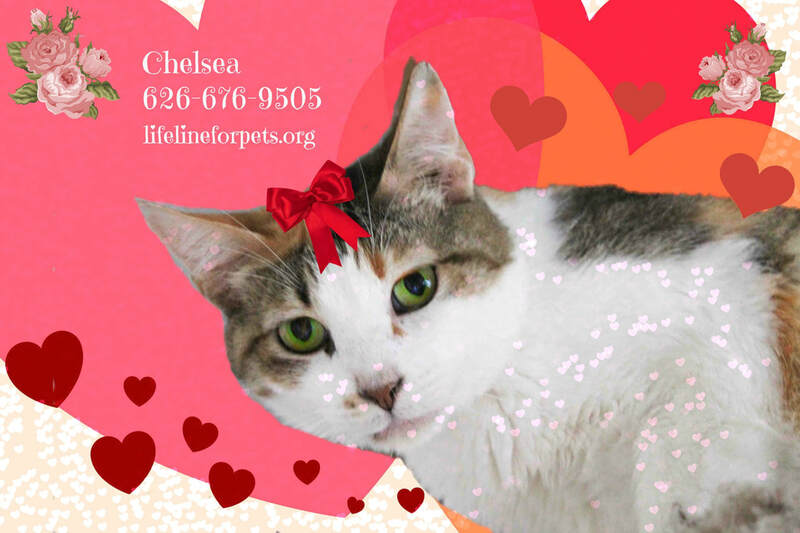 She's on our Senior Cats page. LARKIN, adorably cute male kitten. He's on our Young Cats page. 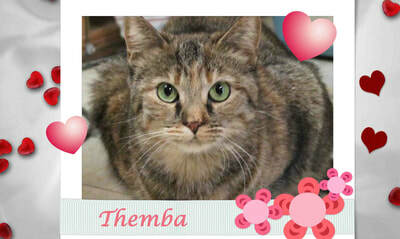 THEMBA, female beauty, is starting to come out of her shell. 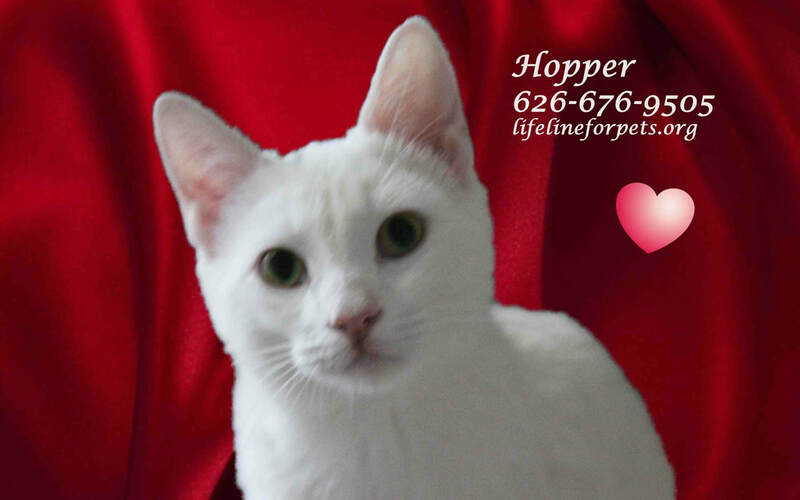 A foster would help her a lot. 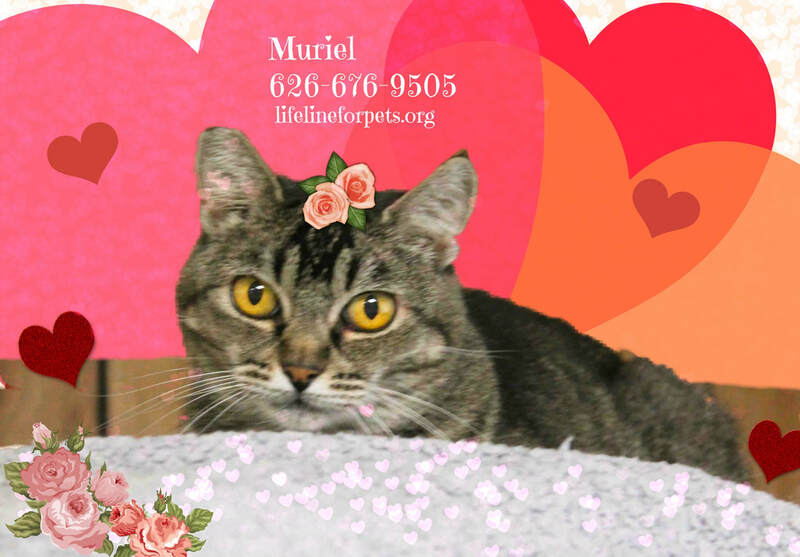 She's on our Adult Cats page. RICKY is a shy guy, but he's trying so hard to be brave. Male kitten, HOPPER, is all white, just like his sister, LADY BUG. See him on our Young Cats page. 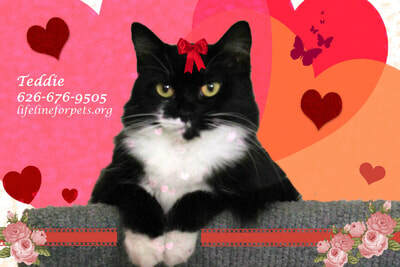 Cute tuxedo female, TEDDIE, is on our Teens/Adult Cats page. 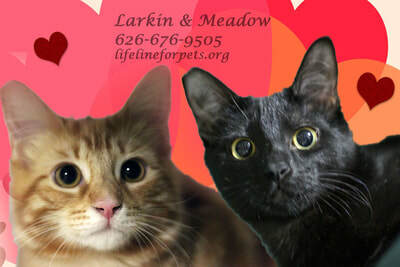 LARKIN & MEADOW, a cute duo, wish you all a very HAPPY VALENTINE'S DAY! 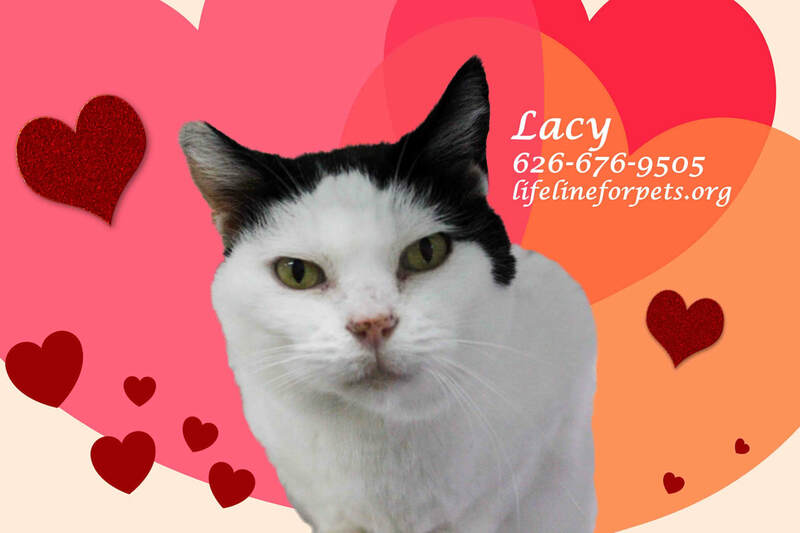 LLFP is a registered 501(c)3 non-profit organization operated entirely by volunteers.